WASHINGTON -- Air traffic was snarled and passengers' tempers frayed on Saturday as many flights to and from airports throughout a large swath of the Northeast stretching from New York down to the Carolinas were delayed or cancelled. 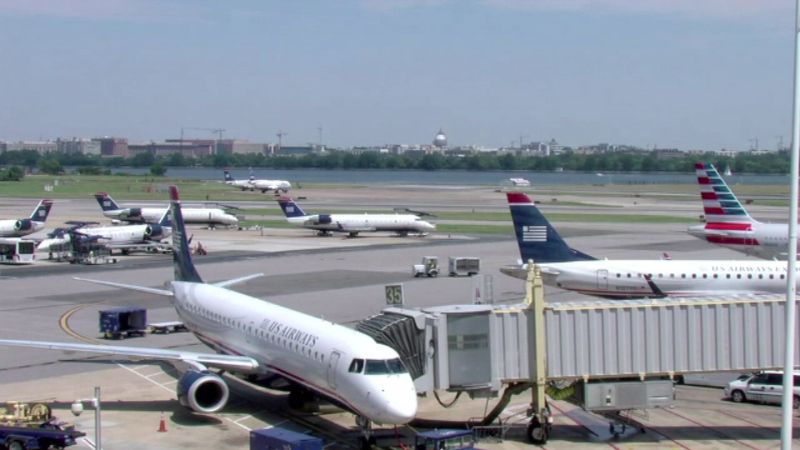 The Federal Aviation Administration blamed the problem on "technical issues" at an air traffic control center in Leesburg, Va. Around 4 p.m., the agency said the problem had been resolved, and that officials were working to lift any remaining orders to hold planes on the ground. Delays began building about 9:45 a.m., according to FlightRadar24, a flight monitoring website. Flights bound for airports in the Washington area were some of the most affected, including Washington's Reagan National Airport and Dulles International, as well as Baltimore-Washington International Thurgood Marshall Airport and Charlotte-Douglas International Airport in North Carolina. The agency said in a statement that the snarl was the result of an "automation problem" at the Leesburg center. The center handles high-altitude air traffic for the affected region. The problem wasn't believed to be caused by any accident or hacking. Roberts said he only heard one groan after the pilot's last announcement saying it would be another hour before they had an update on their flight status. The plane returned to the gate after the problems became clear, and passengers were allowed to get on and off for food or restroom breaks. Kate Smith, of Bethesda, Maryland, was sitting on a JetBlue plane at Boston's Logan International Airport, trying to get home to her two cats after a vacation in Boston and Maine. Her flight was supposed to leave at 12:45 p.m., but the delays persisted by 2:30 p.m.